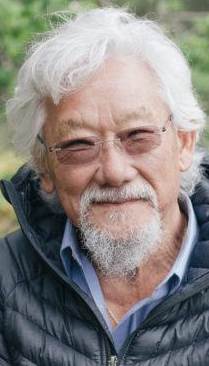 The decision by the University of Alberta Senate to grant environmentalist, scientist and broadcaster David Suzuki an honorary degree has the university community tied in knots. University President David Turpin responded to criticism with an open letter today, but criticism from Dean of Business Joseph Doucet and Dean of Engineering Fraser Forbes gives the impression of an open revolt (or at least an attempt to appease unhappy donors from the oil and gas sector). But the Suzuki controversy of 2018 is nothing compared to the slight created when the Senate refused to grant an honorary degree to Alberta Premier William Aberhart in 1941. What should have been a routine exercise erupted into a full blown controversy in 1941 when members of the University Senate voted against granting Aberhart an honorary degree after he had already been informally notified of the honour by University President William Kerr. A Senate committee’s recommendation that Aberhart be given an honorary degree was rebuked with one week left until convocation. Until that point in history, three of Aberhart’s predecessors, Alexander Rutherford, Arthur Sifton, and John Brownlee, had received honorary degrees from the University during their time as elected officials. The committee’s recommendations were said to be based on Aberhart’s record as an educator and his role in reforming the school system, including certifying teachers into a professional class and introducing a teachers’ pension system. But it would have been hard for members of the Senate to ignore the rest of Aberhart’s record as Premier. 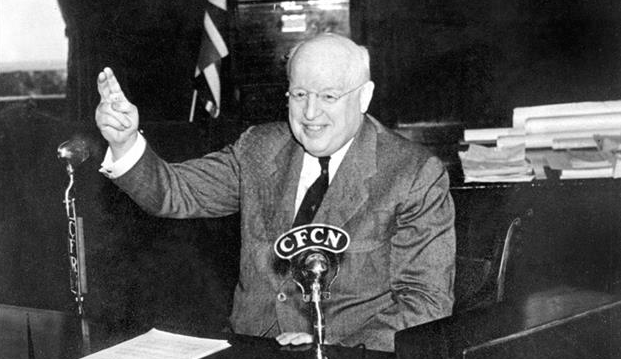 During its first decade in government, Aberhart’s Social Credit Party implemented a radical agenda that followed a fringe economic theory created by Major C.H. Douglas, tried to print its own currency, legislate control over the media, nationalize the banking system and ban alcohol sales. It is also well known that many early Social Credit MLAs harboured deep anti-semitic and racist attitudes rooted in the belief of a global banking conspiracy. 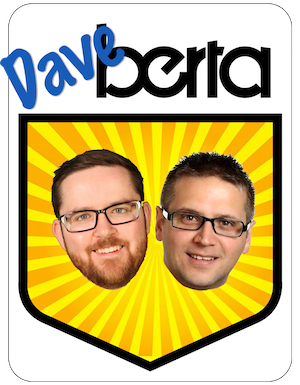 It was a strange time in Alberta’s political history. Scrambling to deal with the huge political problem the rejection might cause the University, the Senate quickly passed a motion that no honorary degrees would be granted that year. It was possibly, “the first time in the university’s history that no address will be given at convocation,” an Edmonton Journal report speculated on May 14, 1941. 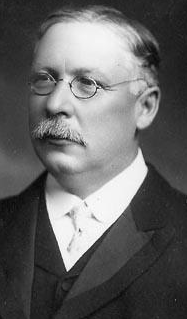 Presiding over that year’s convocation on May 19, 1941 at McDougall Church was University Chancellor Alexander Rutherford, who had served as Alberta’s first premier from 1905 until he was forced out of office by a railway scandal in 1910. President Kerr resigned the following day. Aberhart responded to the slight the next year by introducing Bill 57: An Act to amend and consolidate The University Act, which reorganized university governance and stripped the Senate of much of its powers, with the exception of its responsibility of selecting honorary degree recipients. 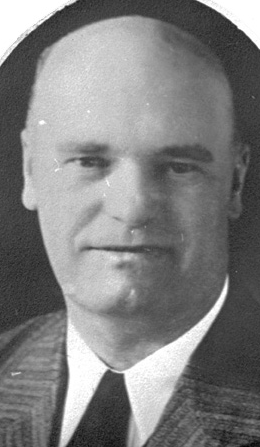 “The citizens of Alberta are now looking to the legislature to see to it that never again will it be possible for the senate of the University of Alberta to present a display as petty, so childish, so humiliating,” said Medicine Hat Social Credit MLA John Robinson told the Bulletin on Feb. 3, 1942. The University Senate’s behaviour was “political prostitution,” Robinson told the Calgary Herald on Feb. 4, 1942. (Note: Most of the historical material included in this post was found in Walter H. Johns’ excellent book A History of the University of Alberta 1908-1969, and through the Alberta Legislature Library Scrapbook Hansard and the Google Newspaper Archive). This entry was posted in Alberta Politics and tagged A History of the University of Alberta 1908-1969, Alberta History, Alberta Social Credit Party, Alexander Rutherford, Bill 57: An Act to amend and consolidate The University Act, David Suzuki, Fraser Forbes, Honourary Degree, John Robinson, Joseph Doucet, Major C.H. Douglas, University of Alberta, University of Alberta Senate, Walter H. Johns, William Aberhart, William Kerr, William Tomyn on April 25, 2018 by Dave Cournoyer. The decision by the University of Alberta‘s volunteer Senate to present an honorary degree to high profile environmentalist, scientist, author, broadcaster and Order of Canada recipient Dr. David Suzuki has aroused much outrage from conservative partisans, Postmedia columnists, donors and U of A staff. It even earned an embarassingly entitled response from the Dean of Engineering Fraser Forbes, who said he was “deeply sorry” and “ashamed” of the decision. Whether or not you agree or disagree with Suzuki’s political positions (most notably his controversial comments about Canada’s oil sands) or have had poor personal experiences with him (which many people seem to have had), it is impossible to deny the huge contributions he has made to the popularization of sciences in Canadian culture. As host of the Nature of Things and Quirks and Quarks, a generation of Canadians were introduced to the sciences through Suzuki’s broadcasts. The U of A responded with it own statement in defence of Suzuki’s honourary degree, but it appears one statement may not have been enough to appease angry critics. Suzuki has been demonized by the political right for years, including a recent attack from United Conservative Party leader Jason Kenney. Politically manufactured outrage toward Suzuki, who already has an honorary degree from the University of Calgary and nearly 30 other universities, could also be pointed at previous honourary degree recipients. Albertans outraged about Suzuki’s honorary degree might be surprised to discover that a U of A honorary degree was given to Prime Minister Pierre Trudeau in 1968. The U of A also bestowed an honorary degree to Maurice Strong in 1973, three years before Trudeau appointed him as head of Petro-Canada, the now privatized crown-corporation decried by Conservatives of the day. Unthinkable! Only five short years after he was in charge of enforcing the much-derided National Energy Program as federal minister of energy, Jean Chretien was given a U of A honourary degree in Spring 1987. Blasphemy! And Mel Hurtig, who later became the country’s loudest crusader against free trade with the United States in the early 1990s, was given an honorary degree in Fall 1986. Unbelievable! As a U of A alumnus and former member of the U of A Senate, Suzuki’s honourary degree does not particularly bother me more than some previous choices. Back in 2012, I was not pleased to learn that the U of A Senate had granted an honorary degree to Peter Brabeck-Letmathe, the Chair of Nestlé, the largest multinational food and water corporation in the world. At least the U of A administration cannot be accused of not being consistent in their defence of the Senate’s choices for honorary degree recipients. It will be interesting to see what kind of reaction Suzuki’s opinions will generate from the audience of U of A Science graduates and their families. Will he insult them by criticizing the oil and gas industry and calling to stop climate change? Will he call for an end to or insult our oil pipelines? Should the U of A give a platform to someone who will likely voice opinions that those sitting in the Jubilee Auditorium might find offensive? I am told that some parents of graduates refused to applaud former Canadian Ambassador to the United Nations Stephen Lewis when he delivered a call to action against climate change as he accepted his U of A honourary degree a few years ago. Albertans are free to criticize the U of A Senate’s choices of honourary degree recipients, and we should probably even criticize the sometimes silly exercise of granting honorary degrees. But the U of A should not shy away from controversial choices. Luckily for U of A grads in 2018, along with Suzuki the honourary degree recipients speaking at their convocation ceremonies will include farmers’ union activist Nettie Wiebe, CEO of the Mental Health Commission of Canada Louise Bradley, historian, playwright and composer France Levasseur-Ouimet, particle physicist Brian Cox, human rights scholar David Matas, former Alberta MLA Raj Pannu, former premier of the North West Territories Stephen Kakfwi, former New Zealand prime minister Helen Clark, and respected foreign correspondent Nahlah Ayed. Suzuki will receive an honourary doctor of science degree from the university on June 7 at 10 a.m. This entry was posted in Alberta Politics and tagged Brian Cox, Climate Change, David Climenhaga, David Matas, David Suzuki, France Levasseur-Ouimet, Fraser Forbes, Helen Clark, Honourary Degree, Jason Kenney, Jean Chretien, Lorne Gunter, Louise Bradley, Maurice Strong, Mel Hurtig, Nahlah Ayed, National Energy Program, Nestlé, Nettie Wiebe, Peter Brabeck-Letmathe, Petro-Canada, Pierre Trudeau, Raj Pannu, Scott Harris, Stephen Lewis, United Conservative Party, University of Alberta, University of Alberta Senate, University of Calgary on April 24, 2018 by Dave Cournoyer.